India returns to Melbourne for their fourth successive International Cup. Their first visit Down Under resulted in a series of heavy losses, however the team continues to improve with each return. At IC14 the team did go winless again, but will be expecting to notch up a victory in 2017 where they will be known as the Essendon India team. India is the world’s second most populous nation (1.2 billion people) and arguably one of the most diverse. Football arrived in India with former VFL player Brian Dixon in the months prior to the 2008 International Cup. Dixon hoped the tournament would serve as a catalyst for growth of the sport in India. Whilst not in the manner Dixon had intended, such growth did occur, albeit more than three years later. That growth since then has been driven by Sudip Chakraborty, a member of the 2008 and 2011 squads and an occasional World Footy News writer. 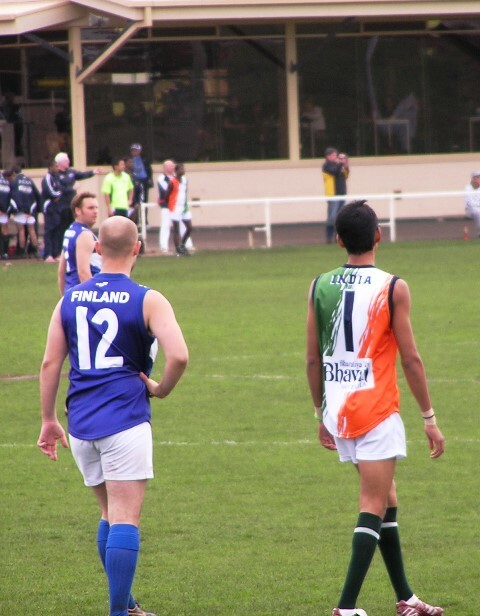 Chakraborty was sufficiently taken by the game to pursue a postgraduate qualification in Sports Management and ultimately establish the Australian Rules Football Association of India (ARFAI). Chakraborty continues to be the head of footy in India which he runs from Melbourne where he is now placed with the Essendon Football Club. Since its establishment, ARFAI has launched programs in six Indian states, has seven paid full time roles and has hosted two successful National Championships. Also helping the growth of the game was the endorsement of former Australian cricket captain Ricky Ponting. Growth has continued in the last few years in different regions of the country as for the first time in 2017 Bengal were beaten for the title at the AFL India national championships. Also a recent match between India and an Australian Masters team attracted 6000 spectators with locals showing a great interest in our game. Whilst in their four appearances at the AFL International cup India has managed just the one victory, the 2017 squad looks easily their strongest with more height, skill and speed then at previous tournaments. The club is also receiving fantastic support from Essendon and AFL level and Bendigo powerhouse Golden Square at local level. 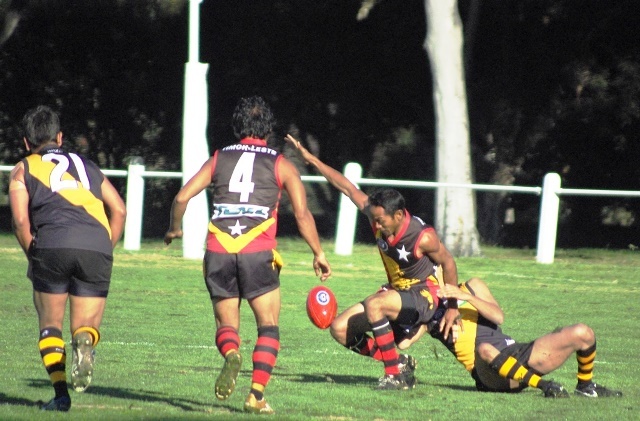 Whilst Golden Square is their host club for a training camp this week it has actually been a combined effort from Golden Square and other parts of the Bendigo Football Community that has seen a team from Bendigo travel to India each year for their national championships in recent years. Maidul Ali has been tearing it up at the last 3 Indian national championships including being awarded player of the tournament this year by a panel including Kevin Sheedy who we know has a great eye for Talent. Ali is short in stature but that’s all his lacks as he can still take a grab shows good kicking skills and is lightning earning him the nickname of The Pocket Rocket. 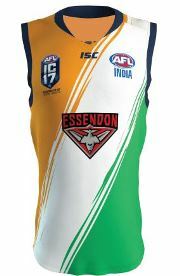 The Essendon Indian team probably have drawn the tougher pool in Division 2 but no doubt they have improved a long way in the last 3 years. Based on the current WFN rankings they would not beat any of these three teams. But the rankings are based on India's footy past. Just how much have the others improved and have india improved enough to notch a few more victories in 2017? Time will tell.